With the advent of e cigarettes as whole new “sport” of sorts, it’s no surprise that Sub Ohm vaping or “cloud chasers” have surfaced from under the woodwork. Using the same extreme vaping devices (*coil resistances under 1 ohm) & the sub ohm box mod. We take a look at the causes and possible consequences and dangers of using sub ohm vaping as a means to help us stop smoking. Is Sub Ohm Vaping Dangerous? Anything we put into our bodies will have an effect and lungs are not designed for vaping or smoking. Ideally don’t smoke and don’t vape and probably you are better off if you don’t drink alcohol too. There are many dangers in day to day life that can be avoided if we choose. If you have to take in nicotine then you need to look at your options. You don’t want to expose your body to the impact of the toxins contained in cigarette smoke any more – don’t forget its the nicotine you want and what you don’t want is all the tar, chemicals or CO2 that cigarettes deliver. Vaping can be safer than smoking. So you have decided smoking is out and that perhaps vaping is a safer alternative and wont hurt you or your lungs or body to the same degree as cigarette smoke. Is vaping with a sub ohm device the answer though? 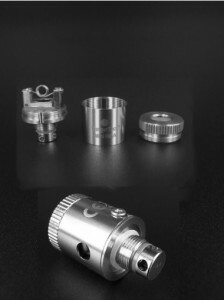 Some UK vaping devices including the best box mods and other sub ohm devices produce huge volumes of vapour, here generally vapers use 3 mg strength for the sub ohm devices. If you vape too high a nicotine strength you will feel unwell! The vapour, or “exhaust fumes” emitted after vaporisation are probably of the order of 10 times or more the volume of a normal cigarette – you can see the significant difference very easily when vaping with these sub ohm vaporizers. Our bodies need oxygen and to get it we breathe at a rate of around 960 breaths per hour and that delivers the required oxygen to the organs and cells in our body for healthy living. Now what happens to our lungs, brains, organs and cellular structures if we were to significantly reduce the air we breathe-in over a long period of time? That is if we restrict the air going into our lungs by breathing in thick volumes of vapour instead of air using a sub ohm vaping device? This level of vapour into the lungs every day, day after day may not be good for us, the lungs are not designed to deal with it and long term I can’t see how this will not in some way affect the human body. Over time, smaller scale e-cig and vape pen devices developed so that some are now very reliable and capable of giving your dose of nicotine as well as vaping with the best box mod. Take a look at the vape pens we have reviewed here. Here the vaper uses 12, 18 or 20 mg strength nicotine when vaping The vapour is not as dense as the vapour produced by box mods or sub ohm vapes so this higher strength nicotine compensates to allow for an acceptable “dose” of nicotine to ensure we get our hit. For example, higher nicotine strength and lower vapour density. The vapour exhaled is perhaps 2-4 times the volume of a cigarette and less than half the vapour produced by the sub ohm devices where you are using a lower nicotine concentration, around 3 mg nicotine strength. So the body takes in considerably less volume of vapour with a higher concentration of nicotine to give an overall nicotine hit somewhere equivalent to the cigarette and the “big vape” devices. What About My Sub Ohm Nicotine Hit? According to most sources including Med-Health: “a regular pack of cigarettes contains 8 to 20 milligrams of nicotine and from that only 1 mg is absorbed when it is smoked. Now on a smaller scale, this means from every cigarette stub containing approximately 1.2 mg of nicotine, the smoker will absorb around 0.1 mg of nicotine from it”. The body does not absorb all the nicotine contained in the cigarette and likewise when vaping the body does not absorb all the nicotine contained in e liquid regardless of whether you use a vape pen or sub ohm device. The greater the number of cigarettes you smoke during the day the higher the nicotine concentration in your blood. When vaping you are trying to achieve this nicotine level so that you can satisfy the nicotine craving. There is a lot of science behind nicotine absorption that we will not go into here but absorption of nicotine is different when using cigarettes as opposed to e cigarettes. One example is that using e cigarettes to absorb nicotine is much cleaner as tobacco can contain chemicals to deliberately accelerate nicotine absorption to the brain. Smoke a cigarette =0.1 mg.
Use a sub ohm vaping device or box mod – low nicotine strength, 3-6 mg/ml but high vapour volume =0.1 mg.
Use a proper modern e cig or vape pen – higher nicotine, 6-18 mg/ml strength with lower vapour volume =0.1 mg.
Use the best vaporizer – medium, 12 mg/ml nicotine strength with medium vapour volume =0.1 mg.
Suffice to say with a huge vapour intake you don’t require the high-strength nicotine as you would with less vapour intake. Hence box mod and sub ohm vaping devices deliver your nicotine hit using say 3 mg strength whilst smaller vape pen e-cigs deliver a similar hit using a higher nicotine strength. A good UK vaporiser brand lies somewhere between the two. For a given e-liquid the sub-ohm vape gives more saturated vapour so there is more taste, of course some like strong flavours and some people prefer milder flavours. However flavour or stronger flavours can easily be achieved by using a fuller flavour e liquid in conjunction with the modern vape pen – there are hundreds if not thousands of flavours to choose from so this should never be an issue. How much vapour do you need? 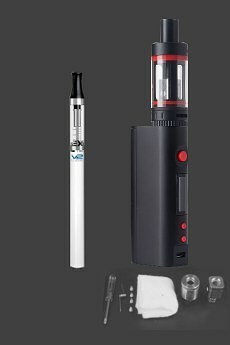 When smoking we are used to a certain level of nicotine to satisfy our craving (approx 0.1 mg absorbed) and to deliver a similar feeling we need around say a 3 mg e-liquid strength with large sub ohm vape devices and around 18 mg strength e-liquid with smaller vape pen devices (as with cigarettes we don’t absorb all the nicotine available). I am not saying sub ohm vaping is dangerous – I simply don’t know as there are no long term studies – so the risk of the unknown remains. Why would you want to exhale this level of vapour. It means that you use 4 times more e liquid so it costs you 4 times as much to satisfy the same craving. If you use say around 50 ml of e liquid per month costing £27 approximately – over a year that equates to £324. 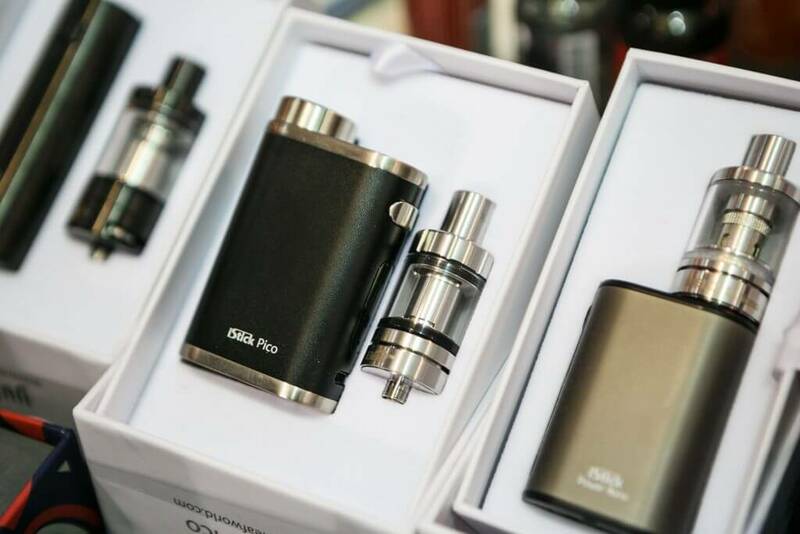 Using sub-ohm devices like the Aspire Cleito Pro you will need to spend over £1200 per year. ( I use lab tested and prepared e-liquid and no doubt some may elect to use cheap e liquid but this is not a good idea). Indeed, if it was smoke we liked to see when smoking then we would have smoked two cigarettes at a time or all used cigars. Personally, I want to put as little foreign substance into my body as possible in order to satisfy my nicotine addiction and that translates to taking in the least amount of vapour to achieve the required nicotine in my blood. I do not want to super-saturate my lungs with something that may longer term affect my health. But if you are going to vape at sub ohm level use one of the best box brands such as the Kangertech Subox Mini. Some of the best sub ohm brands have safety features and also use high quality material which will help minimise toxins/gases emitted from the coil during vaporisation where temperatures are extreme. See the full vaping box mod review on the Kanger Subox Mini here. Blowing out huge amount of excess vapour (waste/exhaust fumes) may look like a vaping sport but it costs money and longer term may take a toll on your health. * Sub ohm vaping uses an atomizer where the coil that heats up the e liquid to a vapour so that you can vape it, has a resistance value that is below [ “sub”] one ohm. ie sub ohm vaping. This can produce huge plumes of vapour. 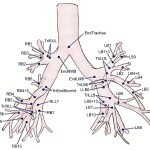 The lungs are complex and relatively delicate. They are not designed to get a constant saturation of PG or VG e liquid vapour every time you inhale. There are 23 generations of branches from the trachea to the microscopic sacks called alveoli, each branch getting smaller and smaller eventually becoming microscopic. At this microscopic level, vapour particles occupy space within this lung structure allowing nicotine to be absorbed but limiting oxygen absorption. Lungs are designed so that oxygen from the air is absorbed into the blood. Carbon dioxide then travels from the blood to the alveoli to be exhaled. Between the alveoli consist of a thin layer of cells called the ‘interstitium’, this layer contains blood vessels and cells that help support the alveoli. Occupying this lung structure with vapour will in all probability hinder the normal respiration process so that oxygen absorption is reduced. What are the long term health risks and dangers of constantly saturating the lungs with more vapour than is needed when vaping? If you are going to vape only inhale clean tested laboratory prepared e liquid!